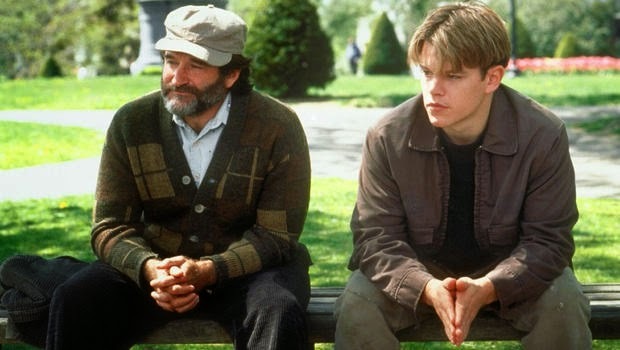 This movie takes you through an amazing physiological journey of a person - Will Hunting(Matt Damon), who has to figure out whether to follow the thing in which he is a good at or just stop caring about it as he is not interested in the same. Will is a genius in mathematics, the most complex problems are easy for his mind, but he is just not interested to be in the academics and teaching sort of lifestyle. There is this mathematics professor who identifies the genius in him & persistently tries to get him into the world of mathematics, to make him an achiever. He leads him to have counselling sessions with his friend Sean Maguire(Robin Williams), who in the end convinces to just follow his heart as this is what makes him happy. The movie ends in great friendship between Will & Sean, with Will deciding once and for ever that he just doesn't care to move away from the thing in which he is good at. He learns to take a risk & love someone as he has not dared to do the same ever. This movie has a lot of great memorable quotes & that scene in the park where Sean leaves Will speechless is just priceless wisdom. This is a great & extreme story of letting go. Letting go of things which are embraced by normal people. 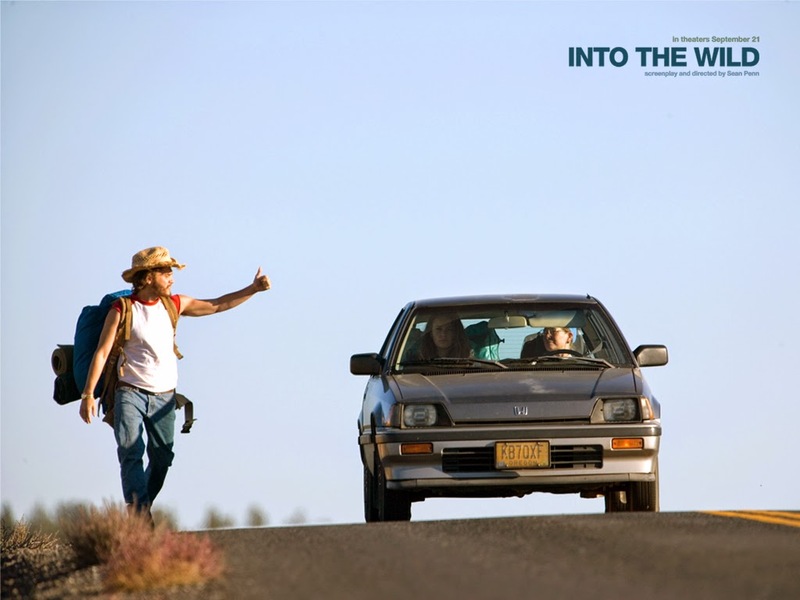 After Chris graduates, he leaves behind parents, money etc and hitchhikes to be amidst nature. He takes a trip lasting his lifetime, never to return back home. He lives off the land, he goes sailing on long river, to reach Alaska. This movie has some great quotes too. Of course its painful for his parents & near & dear ones to accept the fact that Chris is gone forever, but its a fact they have to live with if not accept it completely. Chris just aspired freedom from normal routine of life, freedom from criticism & trying to impress the society, giving himself the joy of experiencing new things & travel adventure as long as he could. Chris dies at the end but he lives a life he desired. We often tend to ignore the advices we receive from our parents, near & dear ones. Surprisingly an outsider's suggestion make an ever lasting impression & probably change our life for good. hrithik is easy going fun loving kid who has not even bothered to think what he wants from his life. He enrols for army coz his friend did the same. He has to stick to his plan as he has nothing else, though his friend back off from this army idea. He is greatly impressed by his girl friend's father telling him that whatever you become in life, excelling in the same is important. Note: This Post is under construction.